Something positive has come out of yesterday morning's horror: The Congressional Baseball Game has sold over 20,000 tickets, and raised over $1 million for it charities. This is double the ticket sales from two years ago, and the Nationals agreed to open up more seats in the stadium due to the ticket demand. To put the "20,000" figure into context, that number is higher than the average ticket sales of a Tampa Bay Rays or Oakland Athletics home game, and is about the same as a Miami Marlins game. The game will also be broadcast on C-SPAN as well for those who are unable to attend and would still like to watch. It will also be streamed on the official Congressional Baseball Game Facebook page. 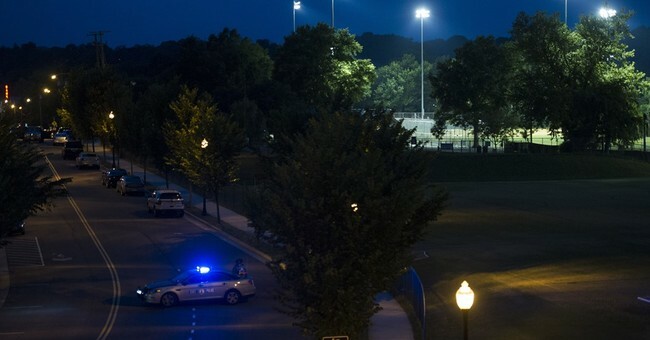 Both teams will be sporting LSU Tigers gear in honor of House Majority Whip Steve Scalise (R-LA), who remains in critical condition following Wednesday's shooting. Scalise, a graduate of LSU and a passionate baseball fan, was well-known for his support of the Congressional Baseball Game. The Republicans hold an all-time series lead of 42-39-1 over the Democrats, and won last year's game by a score of 8-7. The Democrats previously had a seven-year winning streak stretching back to 2009. The Democrats' star player is Rep. Cedric Richmond (D-LA), who played college baseball at Morehouse College. Richmond and Scalise, despite the partisan differences, are close friends, and Richmond was one of the first people to visit Scalise at the hospital. On Thursday, Richmond tweeted a picture of the two of them together. First pitch is scheduled for 7:00 p.m. on Thursday.